ALL employees of the Inland Revenue Division (IRD) and Customs and Excise Division must be transferred automatically to the TT Revenue Authority (TTRA) without any re-applications. This was the demand made by Public Services Association (PSA) president Watson Duke. 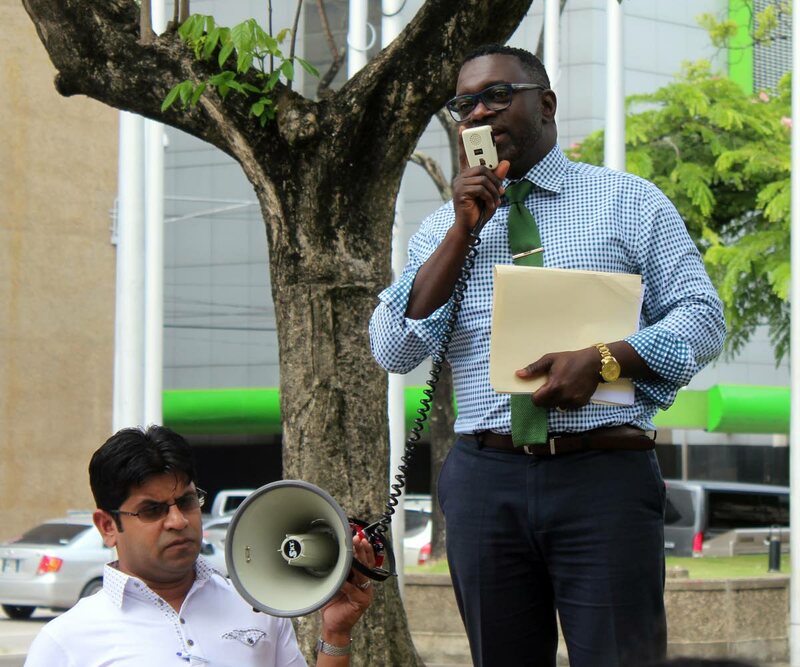 Duke made the demand yesterday during a protest with a small group of workers outside the Financial Complex, Port of Spain. “All workers must be transferred without any test, any application, every single person be transferred – contract, temporary or permanent worker from both institutions – and their salaries be improved and their terms and conditions remain the same or improved. “I felt the delay by the Minister of Finance to prepare the TTRA Act was something well deserving to look at, but what he has done is glorify the days of slavery, when workers will be forced out of their jobs to take up contract work as independent contractors. “This is what happening across here. Even their pension will be stopped. Their position will be abolished and not one worker would be made permanent in the TTRA.” He called on Minister of Finance Colm Imbert to scrap the act and, ensure all workers are given consideration in the new form of tax administration. Duke also demanded to see the structure of the tax administration the government is creating. He said the Minister of Finance has not spoken to the PSA despite the calls made to him since December 4. Duke said any country that is serious about lifting productivity will give workers job security. Reply to "Duke: Transfer all staff to TTRA"